At the very least you need your usual childhood vaccines plus protection from Hepatitis A. Depending on what you are doing, you may also need vaccines against Typhoid, maybe Cholera or ETEC, sometimes vaccines against Influenza or Japanese encephalitis, and you really need to understand about the mosquitoes, monkeys and dogs in Bali, and even sometimes get vaccinated against rabies. Plus you really need a decent travellers medical kit so you can deal with Bali Belly etc. Are vaccines for Bali really necessary ? Yes Yes I have heard it all before… Lots of travellers go to Bali and have no vaccines and yes most of them survive to tell the tale…but if you do draw the short straw and get sick, …at the very least you waste your time and money and have a lousy trip, and at the worst: you damage your health for life. Yes vaccines cost money and yes you can save a few bucks by putting your health low on the list of priorities but..well it is cheap to be dead: Not a popular solution for most persons. Zika is reported from Bali. ( see map ) This means that pregnant women or those planning pregnancy and their partners as well, need to seriously reconsider trips to Bali. I have seen many persons bitten by monkeys in Bali and especially in the Ubud monkey forest. ( About 8% of visitors get bitten). 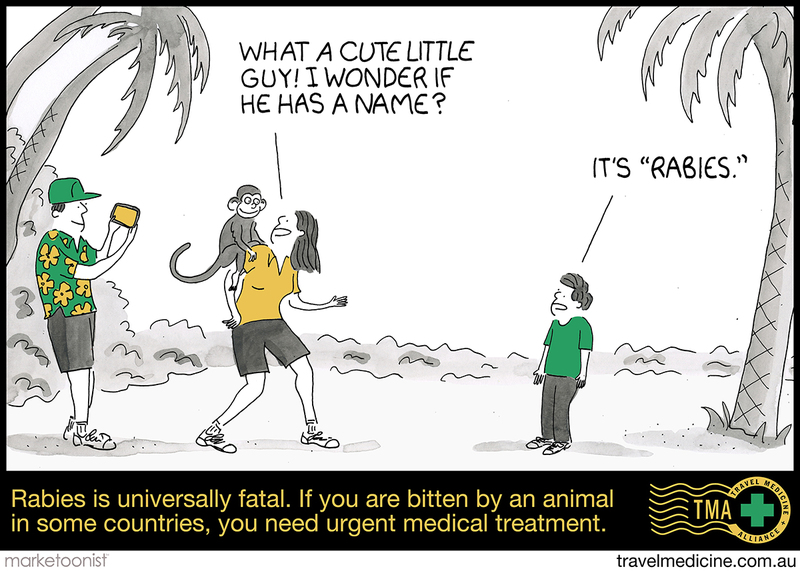 Google the term “monkey bites in Bali ” and read about tourists who have had their holidays ruined. Furthermore there is another fatal disease in monkeys: the MonkeyB Virus carried by this species of monkeys. No-one from Bali has caught it.. yet. Rabies is always fatal but can be prevented by rapid medical treatment, but accessing the treatment is not pleasant. AND its hard to get on Bali – sometimes people have to fly home to get proper treatment. I have seen tough men brought to tears when I have to inject many teaspoons of Rabies Immune Globulin into their thumb or finger because some scatty little monkey bit them as they try to get the monkey off their back or camera or partner. Patients have said to me ” why don’t the authorities in Bali have warning signs? “. Well, it’s not like Australia. In Australia, we are protected by lots of signs, legislation and public health infrastructure – that does not happen in other countries – that’s why we like to visit exotic places – because it is different. Sometimes, however, different is not good for your health. Dont get me wrong I LOVE the internet and information age,but Health is different. NO WEBSITE can tell you accurately what you need for your trip. You need to visit a travel doctor. This is not a marketing spiel. Giving you the best protection is complicated. You are an individual – your medical history, your destination, your planned activities, and your tolerance for risk are all unique. Medical care is not like buying things eBay. Your airline pilot has studied a long time to keep you safe on the flight. Travel doctors have studied a long time to keep you healthy on your trip. Bali has diseases you need to avoid. Some are RARE but really DANGEROUS. There are some lotteries you don’t want to win, like drawing the short straw for Amoebic dysentary, Giardia, Hepatitis, Typhoid, Japanese encephalitis, rabies, TB and many more. There are no shortcuts. 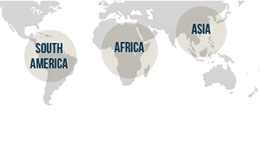 See a doctor with expertise in Travel Medicine – a certificate or diploma or masters in travel or tropical medicine. ( I have a Masters of Public Health and Tropical Medicine (MPHTM). At the very least something like the “ISTM certificate of knowledge“. If you are in Brisbane, you can see my team and I. Call now 07 3221 9066 to make an appointment, or book online. If you are outside Brisbane, ring 1300 42 11 42 from anywhere in Australia or go here to get an appointment around Australia and get the best advice and the right vaccines for your trip. My wife and I are planning a trip to Bali to the Legian area and we will be staying in this villa https://goo.gl/z1L78n . The travel agent promised us that we are safe but again I would like to double check. I know that everything there looks dreamy and the monkeys are cute but your article made me think more about safety. Thanks a lot for this post.